In a large frying pan over medium high heat, sweat the onion in 1 tbsp. oil. Stir frequently, about 4-5 minutes until the onion is translucent. Add the garlic and spice mixture and cook for another minute or two, stirring frequently. You don’t want to burn the spices just crank up the flavor by cooking them. While you are cooking this, warm the tortillas. You can do this in the oven or microwave. I just place them on the burner behind my frying pan and let them warm up while I cook the filling, this way I don’t have to turn on the oven. 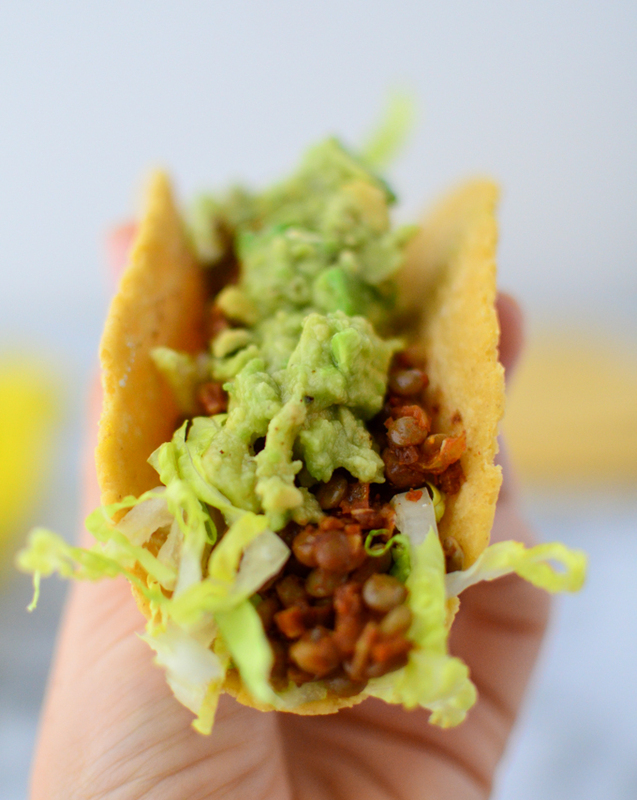 Place a heaping spoonful or two into the taco shell and add your fillings. The filling will make about 10-12 tacos, depending on how stuffed you like them!